Prius. A word that’s entered contemporary lexicon, synonymous with clean and fuel efficient hybrid motoring as much as it is with celebrities wishing to appear ‘on message’ by driving one. Toyota only held the hybrid vehicle market monopoly for a short time back in 1997 but so effective was the Prius marketing machine that for most members of the public, Toyota represented the only choice. Inevitably much has changed since that slightly gawky looking original Prius entered the British market in 2000, not least that the current, third generation model amplifies the accepted and instantly recognisable wedge-shaped silhouette introduced with the Mk II. But Toyota no longer has its own way in the world of cleaner cars: battery technology has moved on sufficiently enough enabling electric-only cars to be viable, if expensive, propositions for some motorists. Toyota hasn’t yet plunged into the electric vehicle market, instead focusing its efforts into persuading the car buying public that a pure EV is too compromised a choice. After years of real-world testing their counter-argument has now reached market fruition – the Prius Plug-in Hybrid. Is it different? It looks pretty much like the regular Prius. Toyota has ensured that the Prius’ shape is recognisable the world over, hence why the recent facelift has been a blink and you’ll miss it affair. At first glance there’s nothing to distinguish the Plug-in version other than the ‘it does exactly what it says on the wing’ badging but look closer and there’s a few more clues. The top of the grille aperture is framed by a silvered finish, as are the slightly recessed door handles. At the rear a similar horizontal appliqué joins the rear lamp lenses together which are also subtly altered too. Wheel fiends will notice the black and silver 15 inchers: although they might be lightweight alloy they look disappointingly like aftermarket trims you might have seen in Halfords a decade ago. Also unique to the Plug-in model is the Sky Blue paintwork, further reinforcing that in today’s motoring landscape, blue really is the new green. Most obvious is the filler flap on the offside rear wing, conveniently marked with a plug symbol, hiding the charging socket for the revised battery pack. So how is the Plug-in Prius different under the skin? Toyota’s raison d’être for the Plug-in version is to offer drivers a viable EV car for appropriate journeys but which isn’t constrained by the need for regular recharging as the engine and electric motor will work in unison to propel the car when the battery’s power’s been drained. Five years of market research was conducted with several hundred Plug-in prototypes around the world, concluding that most car journeys were around 12.5 miles in duration. 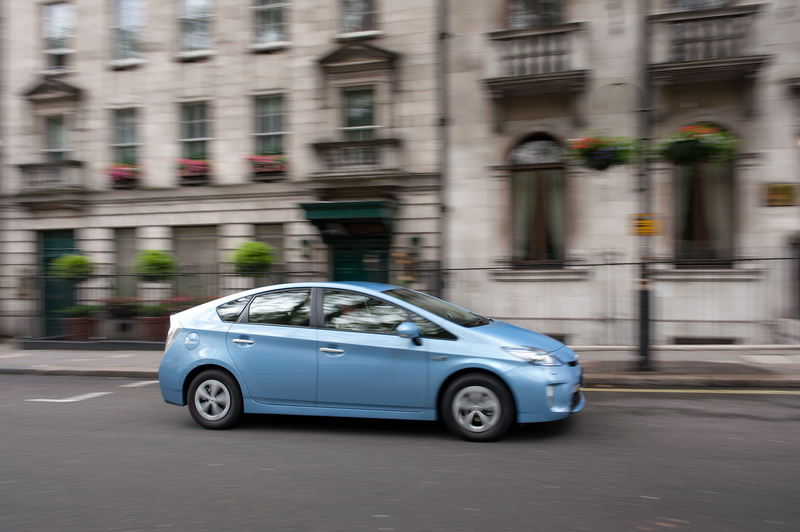 For the majority of drivers the new Prius’15.5 mile range in EV mode will be more than adequate. 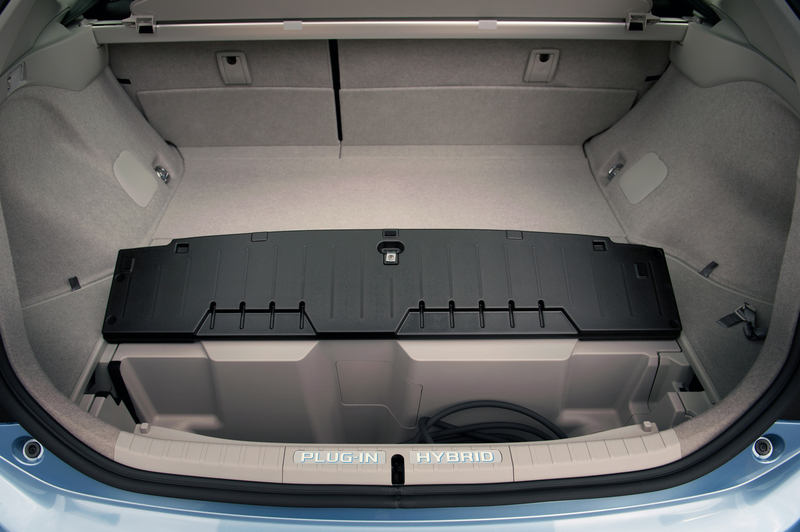 This additional range hasn’t been achieved by simply bolting an additional, boot-space sapping battery over the rear axle but rethinking the battery itself. Out goes the regular Prius’ nickel metal hydride system, replaced by a lithium-ion arrangement. Not only is the Li-ion battery quicker to recharge from the mains (90 minutes at a cost of about 50p is all it takes to replenish the EV range) the kinetic energy from braking is also harvested more efficiently. For the price Li-ion represents the best compromise in terms of cost whilst its density offers packaging benefits too: all that extra capacity reduces the Prius’ boot volume by a barely noticeable 3l, ensuring it remains a practical, five-seater proposition that could be used as a family’s sole vehicle. Is it safe to assume if the exterior’s much the same, the Prius Plug-in will be similar inside too? Indeed but seeing as the Prius has one of Toyota’s more imaginatively-styled dashboards this isn’t necessarily a bad thing. As was ever thus, construction of the interior materials is first rate – it’s just a pity the five shades of grey plastic are so firm to the touch. At least the pattern moulded into them is a million miles away from the faux leather look some manufacturers still employ. Being a sole model, the Plug-in sits right at the top of the Prius tree and has most electrical niceties you’d expect to find in a contemporary, well equipped car. Slightly smacking of overkill the standard fit JBL GreenEdge audio system is not only lighter in weight than conventional systems but requires less power to operate too, helping maintain that precious EV capacity. 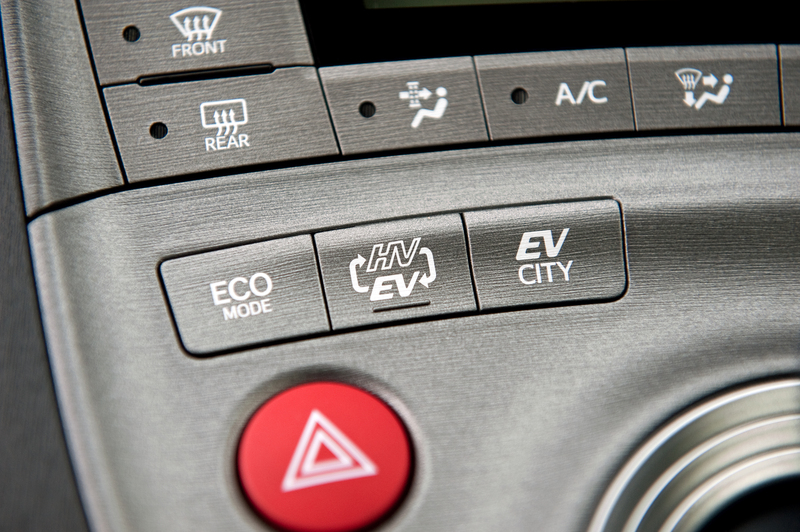 Eco: when you’re feeling particularly parsimonious or enjoy especially thrifty travel, Eco mode will be your friend. The Plug-in will default to EV mode as much as possible and to lengthen the battery life the aircon’s power is reduced and throttle responsiveness dulled. HVEV: this is how most Plug-ins will be driven. Again, the Prius will utilise EV mode as much and for as long as possible before the engine cuts in, at which point HV mode (petrol and electric motor in harmony) will operate until the battery’s been recharged enough to permit EV use. Not only can this theoretically last for 15.5 miles, the Plug-in can remain in EV mode up to 51mph. EV City: as more cities join the congestion charging bandwagon, cars like the Prius Plug-in which can be driven with zero emissions at the tailpipe, will become more popular. To ease buyers into that transition and make the experience feel as conventional as possible, EV City keeps the Prius in electric only form but ensures that throttle response is accentuated, allowing clean driving to take place without compromise. How does all this translate in the real world? Effortlessly and painlessly. Like all electrically powered cars, the torque delivery is instant which meant away from the lights the Plug-in was cheekily able to keep six-cylinder powered executives at bay in the sprint to 30mph. No matter how hard you attempt to drive the Prius, little seems to dent its fuel efficiency, the engine cutting it with a barely perceptible hum as soon as the national speed limit was approached. Despite a test route which included typical stop-start urban slogs, winding country roads and a motorway commute, the trip computer indicated a seemingly unbelievable 129.5mpg. It’s worth remembering that two thirds of the journey was completed with the Prius whirring along in EV mode but even the claimed combined figure of 78.5mpg in hybrid configuration is impressive. The Prius Plug-in also feels faster than its 11.4 second jog to 60mph suggests it will be too – performance-wise, it’s very easy to live with. It’s vital to remember that Toyota knows the Prius’ demographics inside out and therefore it’ll come as no surprise how straightforward the Plug-in is to drive. 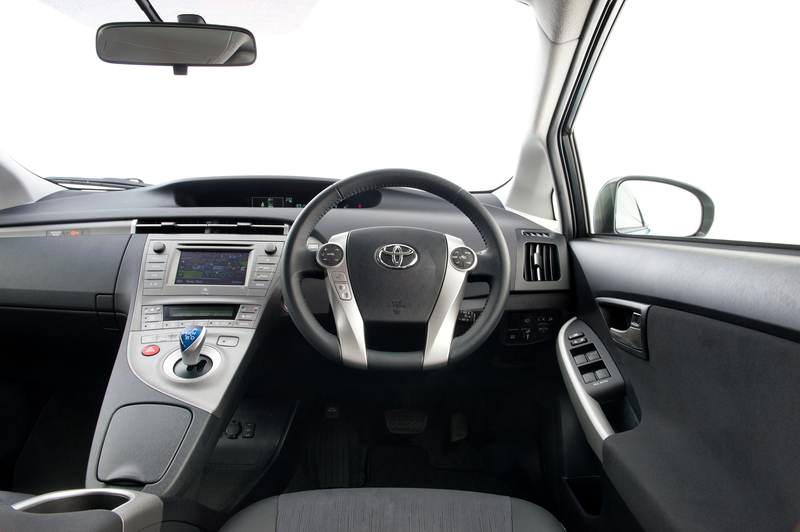 The CVT gearbox manages to maintain pace without engine revs screaming through the roof. Ride quality felt more compliant than regular Priuses too: although the MacPherson strut and torsion beam arrangement is the same, the rubber mounts have been revised for improved comfort. Combined with relatively high 65 series tyres, secondary ripples are prevented from intruding into the cabin too harshly. Such a soft set-up pays dividends in town yet is also controlled sufficiently so as not to feel too floaty on gentle motorway undulations. Naturally, it’s not a car that rewards harder and more exuberant driving styles: the dulled steering responses might be great around town but they offer little communication on B-road excursions. In a market where alternatives to a car solely fuelled with either petrol or diesel are growing in number, manufacturers and consumers are still finding their feet, with many hedging their bets. 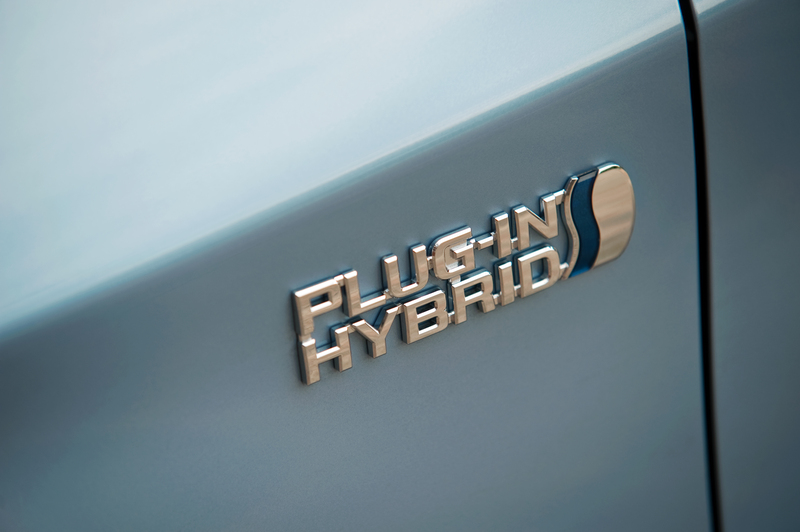 If you’ve followed this blog for a while you’ll know I’ve championed the plug-in hybrid concept as the most practical way forward for the majority of motorists and households. 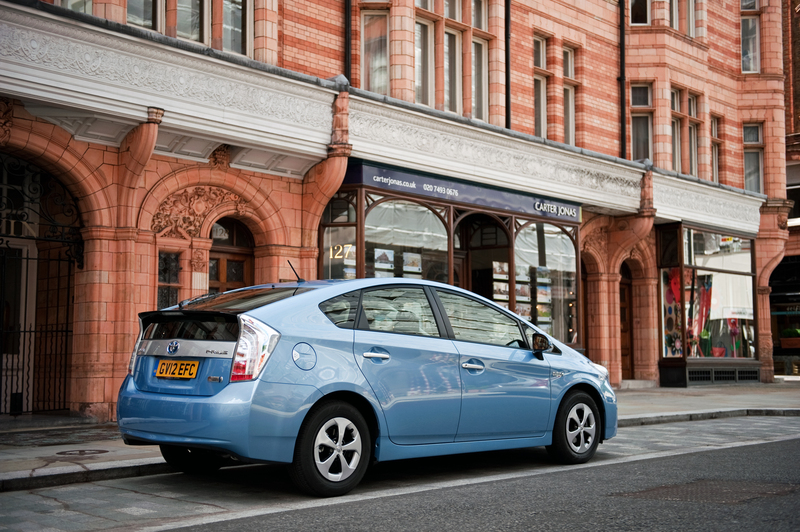 The flagship of the Prius range exemplifies the potential for this arrangement in today’s market. A sensible EV range will suit 80% of European commuters according to Toyota’s figures and with a lean and quiet petrol engine supplying additional grunt when necessary there’s no range anxiety or the need for frequent and lengthy recharges. The Prius Plug-in’s biggest hurdle is that it’s essentially a C-segment car that costs a rather hefty £27,895 even with the government grant of £5000 for such vehicles deducted. That said, it is still a cheaper alternative to buy and run than the Ampera and Volt twins and has the benefit of seating one more passenger too. 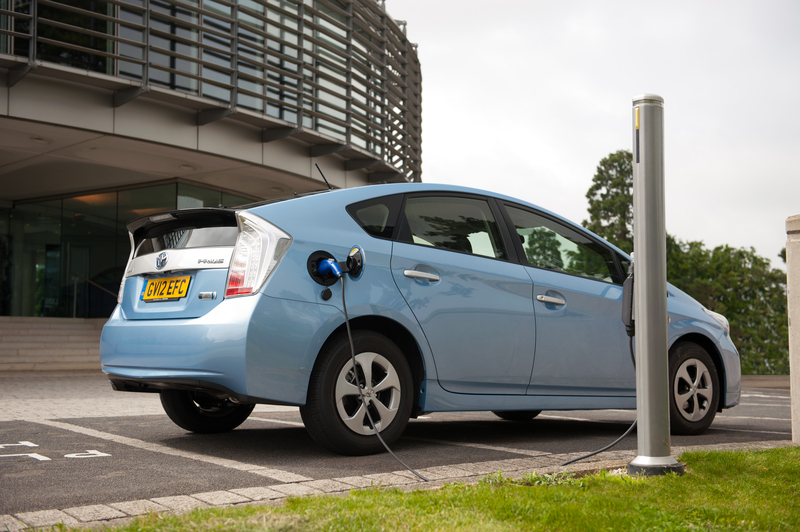 For company car buyers, expected to account for 50% of Plug-in sales, its low operating costs will outweigh the initial purchase price in most cases. It’s occasionally levelled by those who shout loudest (with others gleefully jumping on the bandwagon) that cars like the Prius are the automotive anathema of real car enthusiasts. I totally disagree. If you’re looking for a wonderfully engaging, exhilarating driving experience then the Prius is unlikely to be anyone’s default choice. But as an enthusiast of cars (and one who would choose driving over public transport for the majority of journeys) I could see myself at the wheel of the Plug-in. Low running costs and sheer ease of use would make cross city travels less of a chore; completing the journey having used no petrol at all would merely add to the satisfaction. The Prius Plug-in has qualities that are more than simply superficial marketing soundbites, it’s a car of depth which you would grow to appreciate for what it is, as much as what it isn’t. 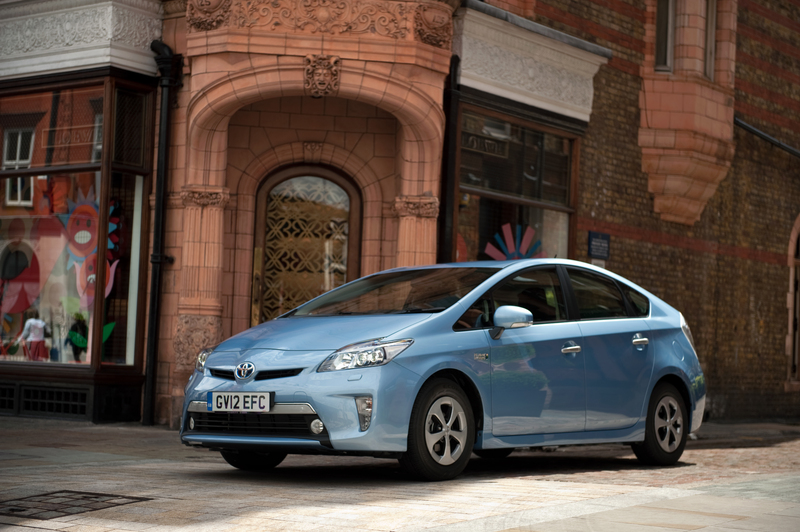 Toyota Prius starts at £21,600 for the T3 1.8 VVT-i Hybrid rising to £27,895 for the 1.8 VVT-i Plug-in Hybrid.